So entrenched is parabolic horror in our storytelling traditions that it’s a shame Hindi cinema is only just waking up to it. So entrenched is parabolic horror in our storytelling traditions that it’s a shame Hindi cinema is only just waking up to it. 2018 witnessed two brave excursions — Prosit Roy’s Pari and Amar Kaushik’s Stree — and capping things off is Rahi Anil Barve’s long-coming Tumbbad. Like the legend it encapsulates, this is a film that has acquired the notoriety of a folklore. The production of Tumbbad was marred with technical difficulties, reshoots, credit scuffles and creative collisions — and it has finally arrived with all the bleeding edges of a long haul. The film opens with an animated sequence detailing the legend of Hastar — fallen firstborn of the Goddess of Plenty — whose gargantuan greed for grain and gold was met with the wrath of the gods. Hastar was banished from the afterworld and effaced from religious texts, and worshipping him was deemed sacrilegious. Yet, centuries on, a temple was built in his name in Tumbbad, an obscure coastal village in Konkan, Maharashtra. 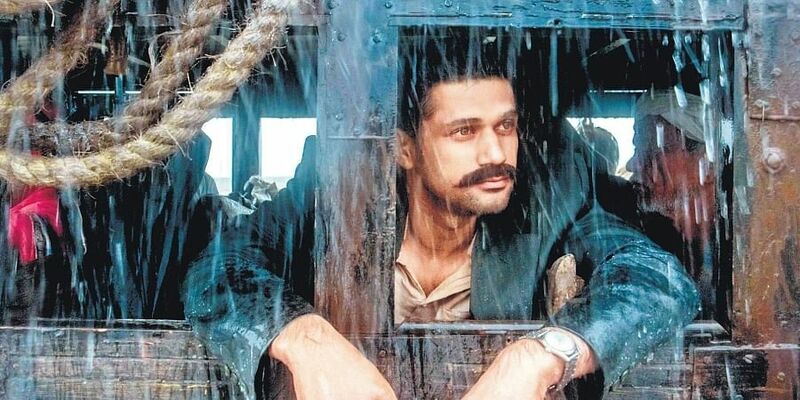 The story plays out in three chapters, opening in 1918 and ending a little after Independence, and follows the treasure hunting expeditions of Vinayak Rao (Sohum Shah, also the film’s producer). From the start, cinematographer Pankaj Kumar (Ship of Theseus, Haider) composes frames of rainy landscapes and sprawling hillocks, while Danish composer Jesper Kyd keeps pace with Ajay-Atul’s folky insertions. The artistic scale and period detailing are impressive — walls of a bedraggled Pune is shown to bear posters of Alam Ara, India’s first sound film released in 1931 — but the grand, ambitious mounting is let down by choppy, inconsistent editing. The visuals boast of an arthouse aesthetic, while the narrative hinges close on genre mechanics (the first scare in the film is a jump scare, tailed closely by grisly body horror and constant growling). Tumbbad is helplessly split between atmospheric indie and big-screen spectacle, reaffirming an old fear about the Bollywood bastardisation of region-specific stories. (Why do three generations of a Chitpavan Brahmin family speak theatre-friendly Hindi and not pious Marathi is a query the film blatantly shrugs off). 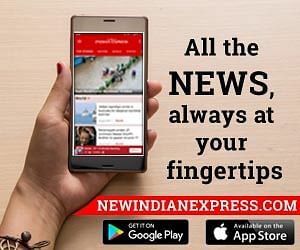 The film has four writers: Rahi Anil Barve, Mitesh Shah, Adesh Pradesh (also the co-director) and Anand Gandhi, who is credited as creative director and executive producer. The third chapter also introduces Vinayak’s son, a fledgling inheritor learning the ropes in the courtyard and lusting for his father’s concubines. Together, they set out for one last adventure — which brings them back to the womb of Tumbbad, and the monster it holds. It is here — through this deeply affecting father-son continuum — that the film acquires a rigid sense of depth. Greed by nature is prone to multiplicity, the film warns; its antidote, thus, must transcend the self. Tumbbad is a morally textured fable that over-guesses its own calibre. It is too self-conscious to be pedestrian, but also too conventional to be high art. It is not easy for a subversive horror film to trim away its genre tentacles and still land an 800-screen release. Tumbbad has pulled off a rare trade-off, but its authenticity has taken some beating. It is the closest we have come to breaking new ground, but is it really the way forward?